Around three or four years ago, we started shopping the idea around. Now, everyone loved the idea — in a nutshell: to create a product that would help kids discover and develop their strengths — but they didn’t have the bandwidth to do it, or they had other priorities, or any number of other completely legitimate reasons. So, after spending a number of months trying to get someone else to do it, we eventually realized that the creators were looking back at us in the mirror. But none of us had the bandwidth, either. So, we did what any other crazy entrepreneurs would do (maybe? ): we put a weekly 30-minute check-in call on our calendars and made a commitment to each other to keep the ball rolling. A year went by and we had narrowed the strengths down to sixteen items to try out. We bucketed them into four categories, and sent them to the fabulous Camp Rise Above for testing. With the Camp’s help, we knew we had something special after the very first round. 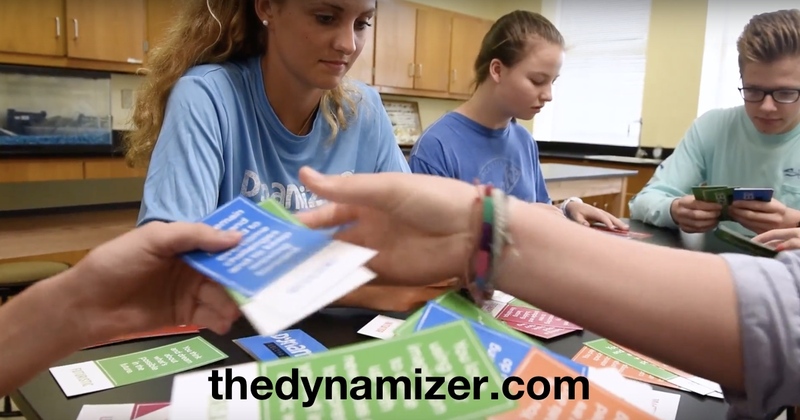 The offer was simple: a “card game” (we now know to call it a “learning activity”) that allowed ill campers to self-select activities that made them feel strong and alive. So uncomplicated, but it provided lasting and profound effects — for many campers, learning to focus on what’s RIGHT about them (in a world obsessed with everything wrong with them) was one of the most memorable parts of camp. We kept refining the language to make it easier for young people to understand. We started working on different designs for the cards and released a new iteration. Another year had gone by. We added in Exaggerators™ — what happens when your strength goes too far and starts frustrating the people around you. We updated the design again, and built some very cool single-pack prototypes. And another year had gone by. Then we shifted from individually-wrapped decks to a 15-deck box to make it easier for teachers, youth group leaders, and camp counselors to help lead conversations with many kids at once. That required completely NEW prototypes. And a completely redesigned instruction booklet. But, finally, at long last, we found our way to the product you see at the top of this post. 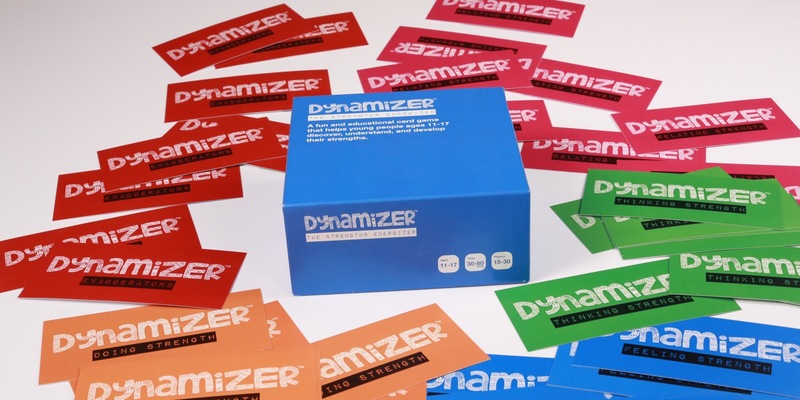 Now, 15 decks of Dynamizer are all contained in a little blue box. But it’s still exactly what it’s always been — a simple set of cards that contains a world of positive possibilities for young people everywhere. Isn’t it time we helped our young people focus more on what’s RIGHT with them, instead of obsessing over their deficiencies and gaps? As a society we tend to fix what’s wrong instead of building on strengths — but this strategy never helps our kids truly thrive. And sure, this product is designed to help kids eventually end up in a career they love. But kids do quite a lot of living before they end up in a job, and long before they’re in a workplace, knowing their strengths helps young people interact better with others, build better relationships, stand up to peer pressure, and can even help prevent bullying. I hope you’ll join the Dynamizer tribe. We need your assistance to make it happen — there are no investors with deep pockets bankrolling this thing. So far, it’s been entirely bootstrapped by us three creators, and we’re hoping an Indiegogo campaign will help us pay for our first production run and build momentum around this movement. It’s our goal to bring the power of strengths to young people all over the world — will you help us? Visit our Indiegogo Page to Donate or Purchase!